This helm, circa 1460, is a prime example of the true genius of early Italian helm smiths. 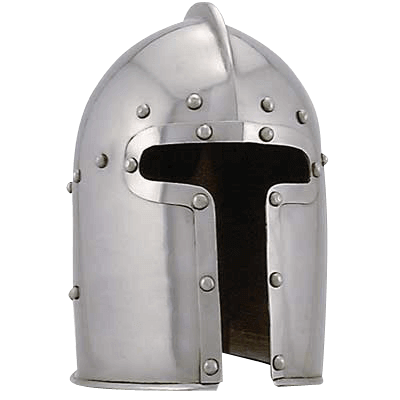 The barbute style helm provided visibility so crucially needed in battle while providing protection of the neck. This is a full size wearable reproduction skillfully handcrafted of 18 gauge steel.